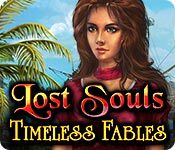 Lost Souls: Timeless Fables is rated 4.0 out of 5 by 12. Rated 5 out of 5 by MAG57 from Nice game This is an enjoyable relaxing game. Not too hard. Rated 5 out of 5 by pandora13 from Awesome plot, awesome gameplay! Often I am quite the snob around plot lines and skip to get to the game play but this kept my interest through out. I particularly like the use of well known literary references and the game play is seamless and challenging. All in all a great game! Rated 5 out of 5 by carb7250 from Great Game If you like BF's hidden object games, this is another good one. Rated 5 out of 5 by pennmom36 from Leave All Fears At The Altar of Fate! Bella has the same terrifying dream night after night that something horrible has happened to her brother Stan, dreams so vivid that surely they mean something! Naturally you set out on a search and rescue mission where you meet Professor Angel who is now nothing more that a ghost doomed to wander between heaven and earth until he fixes the mistake he has made. The mistake just happens to be an ancient artifact that her brother Stan discovered, the Professor used this artifact to open up portals in of all things, books! Now it's up to you to enter the pages of these timeless classics and save your brother and rid the world of the Cthulhu monster! The Collectors Edition has the usual screensavers, music, art, strategy guide and bonus game as well as achievements and hidden coins which are used to purchase ancient artifacts for your virtual trophy room. 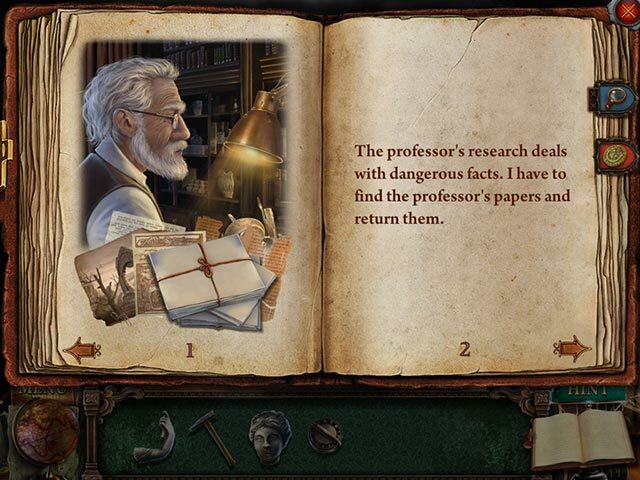 This game has several locations to visit such as the Museum, the Professor's house and even the Altar of Fate which require you to use the map constantly to travel back and forth as you find items in one scene that need to be used in another, so if you're not a fan of the back and forthing you might not enjoy this game. The graphics are very well done, cutscenes are unobtrusive and the characters are extremely detailed and lifelike. 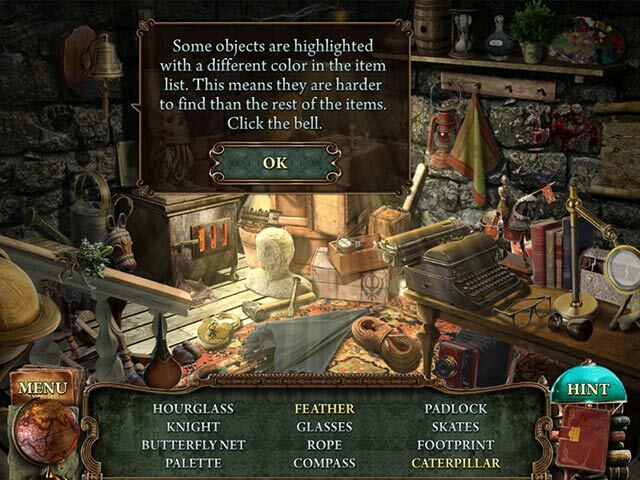 The Hidden Object Scenes are slightly interactive list finds as well as finding items that match the pictures shown. After all items are found, a final item will be displayed in either a picture or list form which will be used as inventory. Some of the HOS are repeated but usually if it was a list find the first time it will switch to a picture find the next time. There are all kinds of different mini games, some require you to slide picture discs along given paths until they are in the correct place to complete a picture, and rearranging statues to the correct places but when you click on one statue two others move. My favorite one was actually pretty simple, you had to click on two matching butterflies fluttering about but if another butterfly crosses your path when you are clicking on the correct match, you have to catch two all over again. In my opinion, the Standard Edition is perfectly fine, the game itself has enough of a backbone to support itself without searching for coins or earning achievements. The game is fairly easy to figure out even if you just jump to other locations to search for areas of interest, enjoy! Rated 5 out of 5 by rosekaufmann from RELAXING SUMMARY: This is a relaxing, somewhat linear game in that certain tasks in a scene will not appear until a puzzle is completed. Not an overabundance of HOS or puzzles or mini-games, none of which are difficult. If you need a challenge, this isn't the game for you. And unlike many games where you have to find someone, you don't have that sense of having to hurry. Game provides a nice afternoon of pleasant, relaxing gameplay. As for the game: You have 5 books to explore, starting with the Call of Cthulhu. In Cthulhu, you have to help a professor save the town he has endangered. 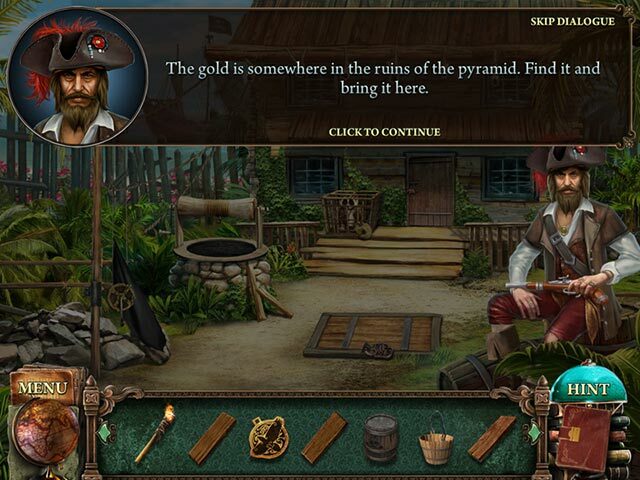 GAMEPLAY: You have 2 modes of difficulty; logical story and relaxing gameplay with easy-going music; tasks assigned; transport map; and at least in casual mode, the game will tell you there is nothing left to do in the scene and to check the map. Although the game is nonlinear, there are some tasks that must be completed before others will appear in the same area. [Ex: the desk in the house in the first scene has no actions available until after you open a safe. Only then will the desk have an activity to perform.] HOS, PUZZLES: HOS are of 2 types, both are moderately crowded and are almost monochrome. The HOS are either list-based or pictures of objects to find. Puzzles are fairly easy to complete, but you may have to find pieces in another area to complete them. But it's effortless since you have the fast-travel map. Some puzzles won't appear until you have completed a particular activity. CE v. SE: The CE doesn't have enough extras to warrant its purchase over the SE. Rated 4 out of 5 by LunaNik from Fun little game! GAMES IN THIS SERIES Enchanted Paintings OVERVIEW I'm not sure how I missed this game, especially since I own the first episode. But I'm definitely picking it up, as it's far more challenging than most games being released today, and it's a DD. STORYLINE Bella's brother Stan, an archaeologist, mysterious disappeared after finding an ancient book. Bella has been dreaming about how he disappeared, and believes she can find him. Little does she know, she'll be drawn into four different stories before her adventure is finished: The Call of Cthulhu, Robinson Crusoe, The Three Musketeers, and Jack the Ripper. She'll have to resolve issues in each one to gain pieces of the artifact that opens the book. GAMEPLAY If you've played the first episode, then you know how the game is set up. If not, each book comes with a map that denotes not only the locations, but also the number of tasks in each one. There is some back-and-forth, but it's not onerous since you travel via the map. Each location includes several HO scenes, puzzles, and tasks to perform. The characters in each story will ask for certain favors which leads to a progressive series of tasks. HO SCENES Each scene is visited twice, but the presentation is different the second time. There are interactive lists and pictorial lists, and some of the objects are hard to spot. When you complete the list, you're presented with a representation of the final object to find, the one that you need. MINI-GAMES While none of the mini-games was incredibly difficult, the challenge level was higher than most modern games. Catch matching pairs of butterflies…harder than it sounds since they're all flying around. Slide tokens along the lines to restore the image. Rearrange statuettes to match the symbols; click one and the two adjacent ones will switch position, so some planning is required. Three levels of connecting the lights while not using any path twice. PRODUCTION Excellent graphics that blend realistic with artistic, and a beautiful palette. There's quite a bit of in-game animation that both adds to the storyline and keeps the pace moving along. Music, voiceovers, and environmental sounds were done well. ISSUES None with El Capitan. CONCLUSION This is a great rainy day game for experts, and a challenge for beginners. The storyline is compelling with a good exposition. And it's visually beautiful. I recommend it, as well as the first episode, Enchanted Paintings. Rated 4 out of 5 by tutortime from Short and sweet game. The game ran very short and it was very easy to play. I would have rated it 5 stars if it were longer. The music and graphics were nice also. The games uses a map to jump from location to location and I like this feature. This is a good game to use your free credit on. Rated 3 out of 5 by agrimony from Sunday Afternoon Game Some have rated this "old school" type and that it is. But I have to admit the graphics in my opinion are good, not the best but good. I liked the game fairly well, but it does have it's drawbacks. One thing that really got on my nerves was when you had nothing else to do in an area, a screen pops up and tells you there is nothing here to do, then an arrow pointing to the map letting you know to go to the map. That is all find and dandy but when it does it over and over and over it gets very annoying. It is not a challening game but beyond that it was a good relaxing game. Good for a beginner. Try it yourself before you take my judgement, because what might annoy me may not bother you at all. Rated 3 out of 5 by afigluiz from started off okay the first book was enjoyable- there was a lot of back and forth (but instead of walking you can and are expected to use the map). It was clear that you would have to return to the sparkle areas because you would see a needed object. The sparkles were of different kind- some where images and you had to find the item- the sparkles were not a garbage collection- the items were relatively easy to find. It was nice that the pictures were given, but the objects themselves might have been at a different angle. Sometimes other games will make it too easy. Some sparkle areas were the list of items- with a few items needing multiple parts (click a curtain to find the object for instance). The cut scenes were impressive. The story line was a little weak. The actors looked awkward when moving- you'll see what I mean during the first book/episode. You can go onto the second book/episode if your trial is not timed out. The second episode started off nicely, but on the second location- the screen went blank except for large chunks of white blocks- clearly the pixels. Not sure if it was me- or the game code. I had to stop playing as I could not actually see anything- it wasn't dark- the game code itself was missing(?) You are only given two play options- easy or hard. For us challenge players, the hard is not hard. On difficult there were still sparkles, the help took about 10 seconds or less to recharge, and you could skip puzzles if wanted. Usually those are the settings on easy. The environment sound and music were just enough.